Some recruiters do not like candidates who job hop. They believe that job hoppers only cause an unnecessary increase in their turnover expenses. However, that is not always true. It’s usually not a good idea to judge a book by it’s cover, so to speak. A resume is only a visual representation of someones experience and story, it isn’t the person themselves. We have seen many clients make great hires after given a “job-hopper” the benefit of the doubt and having at least an initial call. Often times there is a story that makes a lot of sense behind perceived instability, you can never learn this from looking at a resume alone. There are plenty of benefits that job hoppers can bring to your company. 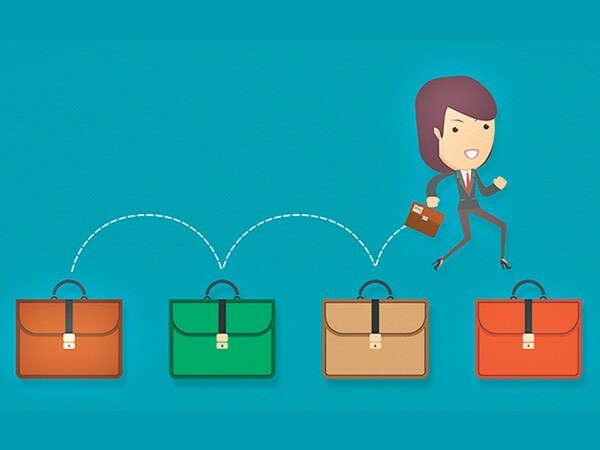 Job hoppers may bring benefits that can more than make up for your turnover expenses. They are typically fast learners. Having had many jobs in a relatively short period of time, they have learned to be adaptable and adjust quickly to new environments. Since they’re easy to get onboard, they don’t require much time and effort to get up to speed. This is a huge asset in today’s fast world. if your business moves fast, you can benefit from this greatly. Job hoppers often have a wide range of both technical and soft skills. Having worked in different industries, they can tackle problems from a different perspective. They may also be familiar with different technologies that your company might benefit from. Job hoppers have developed strong interpersonal skills by working with a wide range of people and companies. If your company ins an entrepreneurial environment where people wear many hats, this will be an instrumental asset. Job hoppers can bring new ideas. They can draw on their experiences from working with other companies to bring more innovative ideas and solutions to your company. This is something that loyal employees might lack. As a result, it prevents your company from being stale. Being at one company for too long can certainly have your thinking become stale. Fresh perspectives are worth their weight in gold. Job hoppers are more than just a deep well of knowledge and ideas. They have most likely built a wide business network. Having more business connections can only benefit your company. This can be anything from recruiting more quality candidates and finding more clients. Relationships are everything and if you can leverage your employees relationships skillfully, it can really pay off for your bottom line. Job hoppers are naturally ambitious and eager to gain new experience and/or climb the ranks. Retaining them can be difficult, just as it is difficult to attract and retain any top talent. This is truly the key – what to do to keep them around! Sometimes these folks have moved around a lot because no one can keep them. If that can be you, you will truly benefit. This tips below work across all types of employees. You can increase retention rates by implementing employee engagement programs. Talk and listen to your employees. Let them express their objectives. Then provide them with some strategic direction. Ambitious job hoppers are eager to learn. They seek guidance and will greatly appreciate your input. They will be more inclined to keep working with you if your company is a resourceful learning environment to them. This is especially true with Millennials who seek engagement and want to be apart of something bigger. All employees want to be valued for their hard work and commitment. Job hoppers are the same. They crave continuous recognition of their contributions to the company. Create a rewarding and appealing work environment by recognizing their years of service, high performance, and continued excellence. Again, you have to listen to them closely. Take the time to understand their interests to create a recognition program that will truly resonate with them. Job hoppers will be more inclined to stay at your company if they feel valued. Again this is another critical strategy with Millennials. Contribution is key for upcoming generations and it’s easy to have your company be an environment that values people and allows them to contribute. Judging a book by it’s cover is lazy and will often time lead to missing out on great opportunity. Initial exploration of a job hoppers background on a phone interview can yield a lot of information about their experience, story, and other assets that could ad vale to your organization. There are many “diamonds in the rough” out there and a talented business owner or hiring manager know how to find them and keep them on their team. Your people are everything and you owe it your business to do everything you can to attract and retain the best people. Do this and your company will thrive.